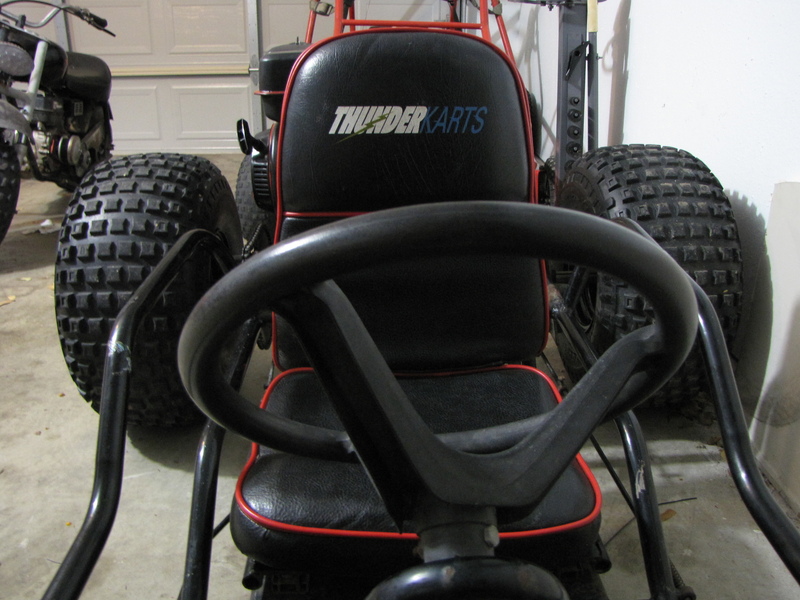 This ThunderKart was in rough shape. The seat was falling apart, the greyhound 6.5 hp engine didn’t run, the maxtorque 20 series torque converter was sticking, and it just didn’t look so hot. 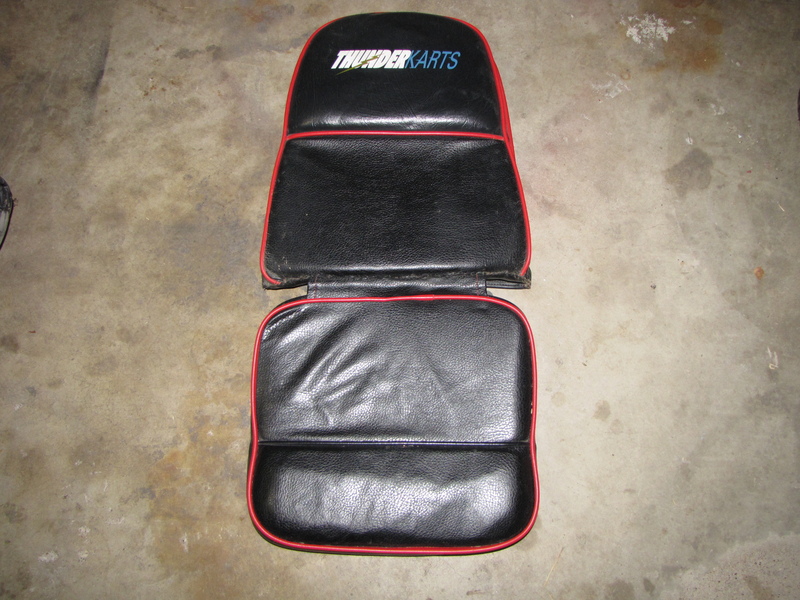 I kept the original seat cover that said “thunderkarts” and redid the rest with high density foam, marine vinyl, and red welting (piping). I also inserted some cabinet runner (found at any hardware store that sells carpet/cabinets) onto the floor pan to cover up the old nasty floor. The seat looks pretty good. 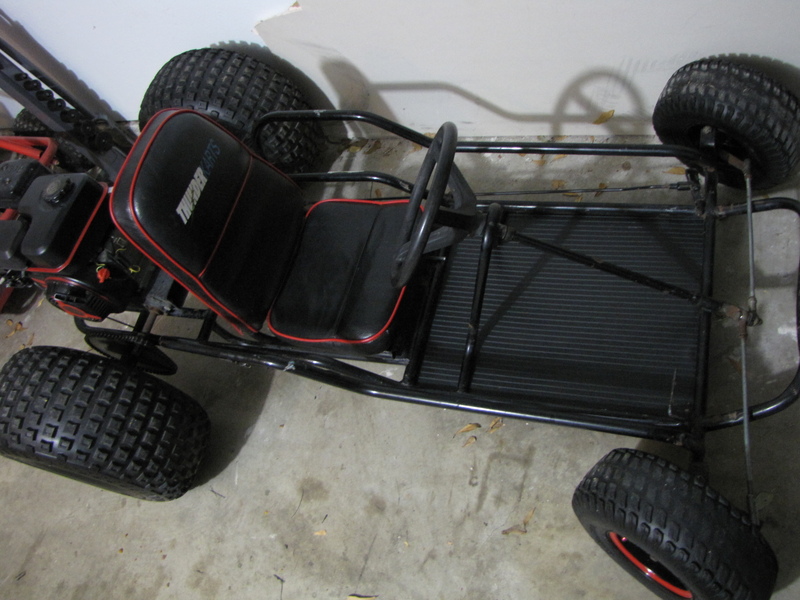 I fixed up the engine and,painted the rims, and those 22 inch knobby tires are my favorite part of the go kart. 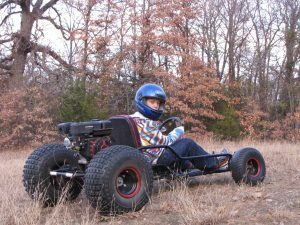 I let my nephew test it out prior to selling this kart. 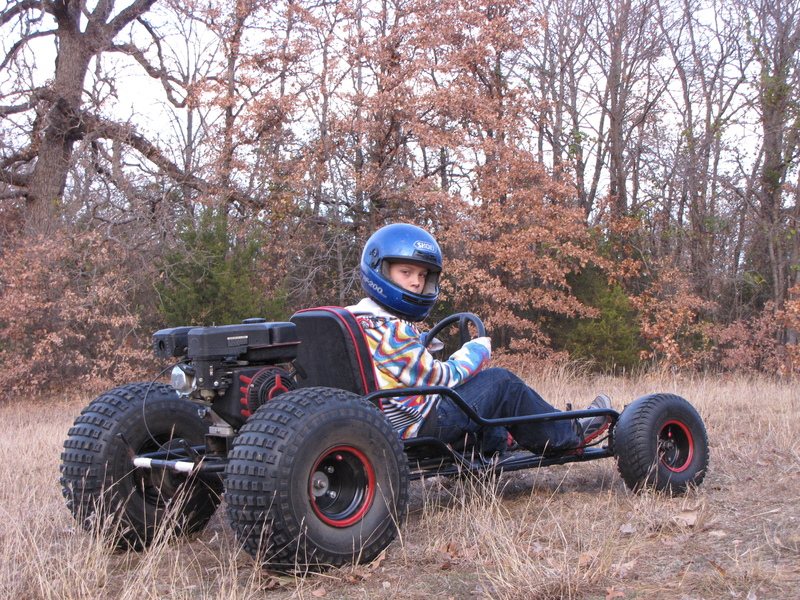 Go kart off road, hill climbing, driving through water. This is the video I made promoting the go kart prior to selling it. Like this restoration? Check out my other go kart restorations here. Look like a death trap! What is the tyre and rim size for the rear? Hey man. 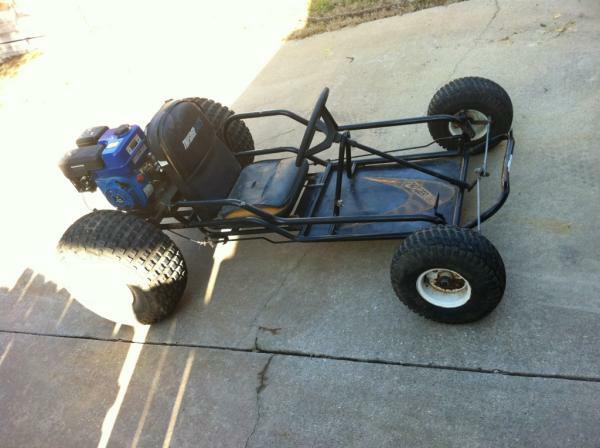 I think I bought this kart from you several Christmas’s ago. I came up late Christmas Eve and hauled it back. We still have it and enjoy it. I changed the front wheels out with some old Honda oddest wheels and new tires. Painted them to match the rear. It’s been real solid and starts on the first pull when we don’t let it sit six Months. Well just saw it on here and thought it was the same one and I’m sure it is. Niiiice! Its a small world isnt it? That was a really fun go kart. you can call gopowersports and see if they will help. This originally had an industrial 4 stroke engine. So a predator 212cc would work for the engine. For the drive unit, it originally had a 20 series torque converter (symmetrical). Look up a 20 series belt chart and see what size belt you can put on it given the distance between the drive unit and the driven unit shaft.